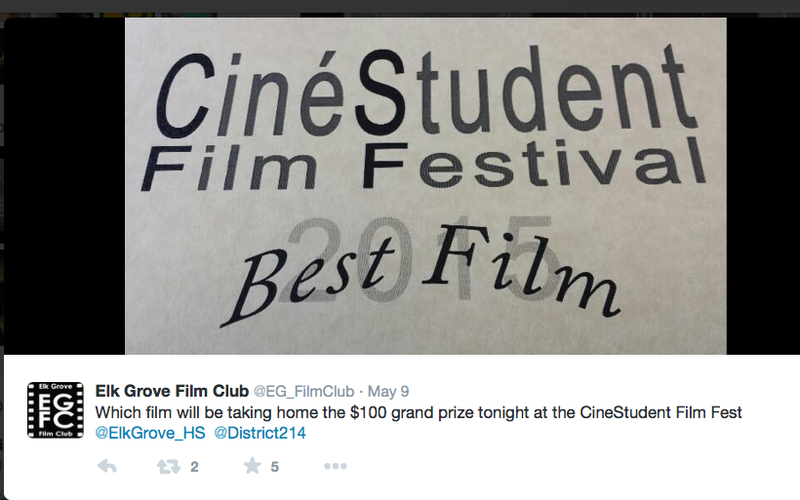 If you missed the Elk Grove Film Club's Film Festival this year, make sure to put it on your calendar next year! 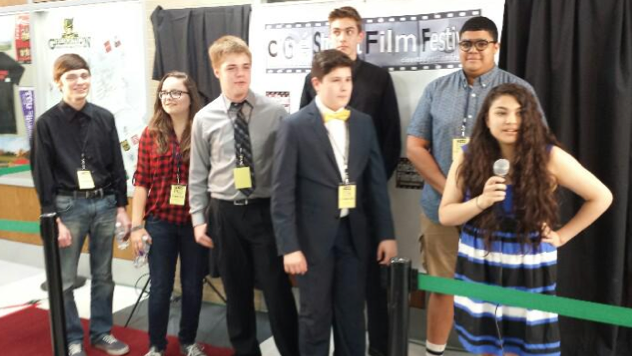 The Elk Grove Ciné Student Film Festival was a great event that brought together students from across the District to showcase their creative flimmaking talents. 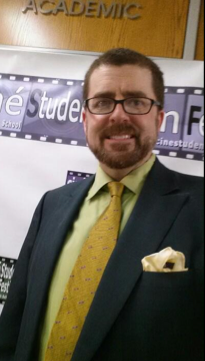 The Film Festival was the vision of Social Science teacher Bruce Janu who founded the club just this year. Bruce wrote a post this week and last week about his use of Vox Vote to engage the audience in voting for the best film. 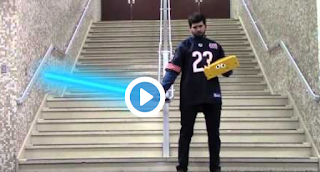 However, I did not want the week to go by without expanding more on this great event as a shout out to Bruce and his students for the countless hours they devoted to such an awesome creative learning experience that involved students, staff and the community across District 214! Preparation for the Film Festival, held on Saturday, May 9th, was extensive. Many club meetings were devoted to learning about the craft of filmmaking. To inform students, staff and the community about the club activities and film festival, Bruce created a Ciné Student Film Festival website and an Elk Grove Film Club Twitter. 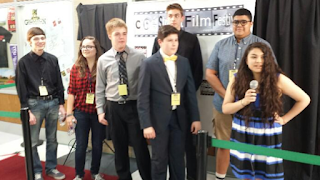 The club gained generous funding from community organizations and the Elk grove Parent Teacher Council to support the cost of equipment, filmmaking apps and the Film Festival. The event itself had all the makings the Oscars! Red carpet photo-ops and interviews with the filmmakers, actors and actresses; a quality panel of judges (including EG's very own John Bottiglieri and Ralph Scalise); student EmCees; an alumni film; an alumni spotlight, a staff film; eleven student films; audience participation to vote for the best film; and, a final awards ceremony with generous prizes including a $100.00 Grand Prize for the best film! 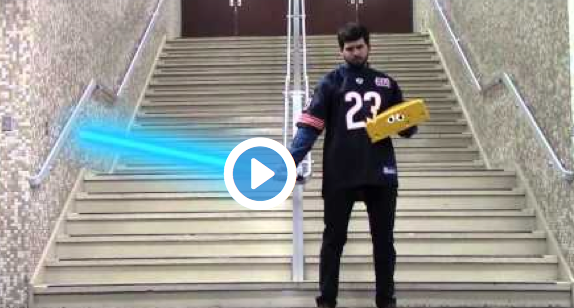 Check out the Ciné Student Film Festival Website to learn more! Don't miss the video of highlight photos from the evening, including this one of Bruce Janu in his Elk Grove green and gold! And . 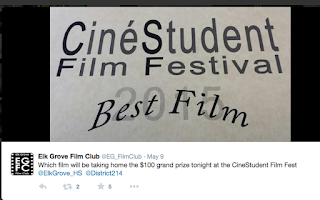 . . Watch for the date for next year's Ciné Student Film Festival and mark your calendars! Use Twitter Lists to Connect with Colleagues! Library Books on Your iPad!